“Can you hear me now?” The audion, an early vacuum tube, made the radio transmission of the human voice feasible. In 1907, the inventor Lee de Forest found himself down on his luck. The previous year, his messy divorce to Lucille Sherdowne (the so-called “wireless bride,” named for the way that he has wooed her) had been splashed all over the pages of major newspapers. 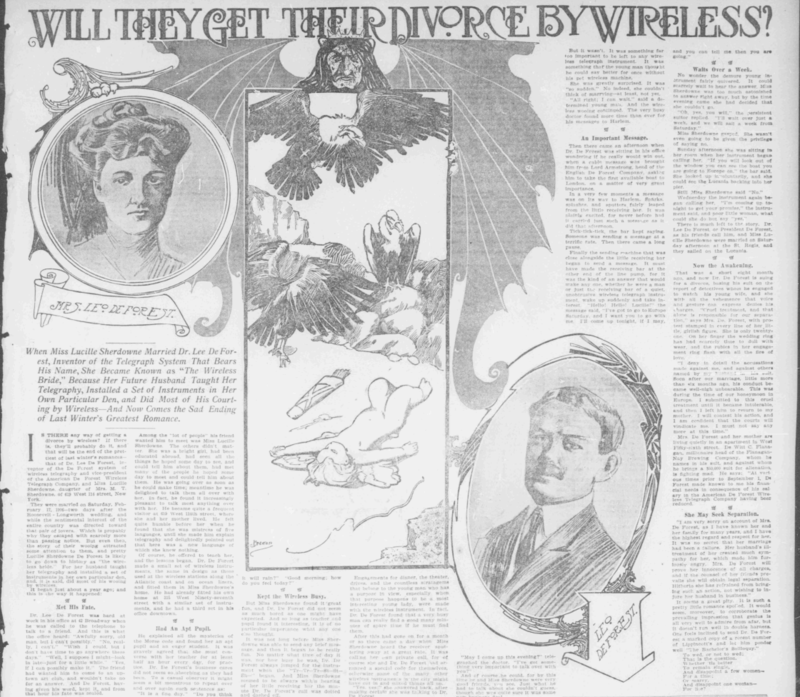 Also that year, he had been outed to the public as a plagiarist, as it became apparent that the spade detector that had propelled his name into the national consciousness at the 1902 St. Louis World’s Fair was only de Forest’s discovery in that he had discovered someone else’s technology and repackaged it as his own. This detector, based on a patented design by the Canadian Reginald Fessenden, resulted in a lawsuit that not only proved to be financially costly to de Forest, but also led him to resign from the American De Forest Wireless Telegraph Company (which was itself propped up mainly by stock fraud). So, after a costly divorce and even more costly lawsuit, De Forest was left nearly penniless, but he still had a few inventions up his sleeve. 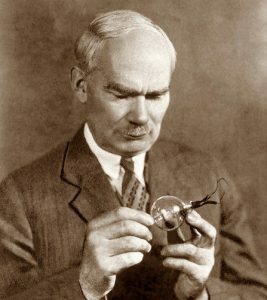 Some, like his idea for a pants-presser or mechanical ear cleaner, did not achieve the fame that their inventor sought for them, but one did: the audion tube. 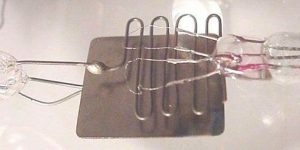 Building on both an earlier patent of his, and the Fleming Valve (a detector for radio receivers invented in 1904 by John Ambrose Fleming), de Forest patented a three-electrode vacuum tube that consisted of a heated filament (the cathode), a plate (the anode), and a bent wire in between the cathode and the anode. 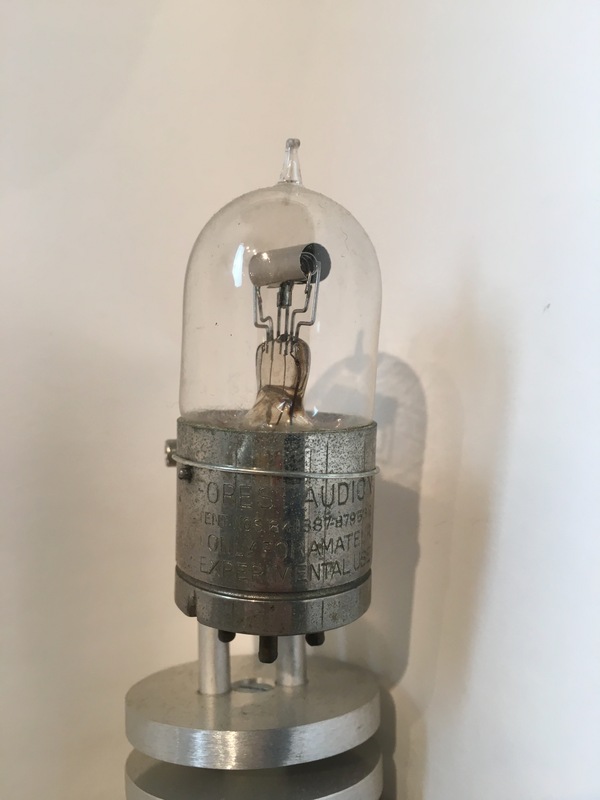 He called this new tube the audion because of its increased power gain, which made weak signals stronger, and in turn, more audible. De Forest didn’t know why the tube worked the way it did—all he knew is that it did work, and that was good enough for him. In fact, it worked remarkably well. 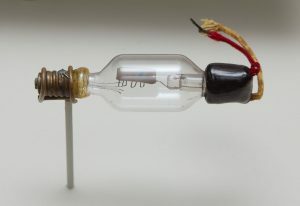 This three-electrode system (called a triode) was the basis for pretty much all later vacuum tube technology. The audion was the fastest electronic switching instrument of its era, and in an improved form, it was the single piece of equipment that made radio as we know it a reality because it made reception of the human voice possible. Earlier radio (also called wireless telegraphy), was conducted almost entirely in Morse code, since the dots and dashes were discrete entities that didn’t need much in the way of interpretation. While we have many triodes in the Sarnoff Collection, one of the earliest ones we have is an audion manufactured by the De Forest Radio Company in 1915, and its metal socket is labeled with “only for amateur experimental use.” Other companies, including RCA, would sell hundreds of thousands of triodes based on the audion for all kinds of electronic devices over the course of the twentieth century.